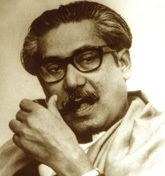 The New England Awami League was founded in 1986 following the direction of the Janonetri Sheikh Hasina, President of the Bangladesh Awami League. 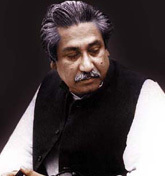 The first session of the New England Awami League was presided over by Dr. Syed Abu Hasnath as the founding president of the party. 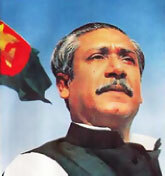 About 20 young Awami Leaguers from Boston and neighboring cities were included in the party; apart from the President, three other core members of the New England Awami League were Mr. Motiur Rahman Matin (Vice President), Mr. Iqbal Hossain (General Secretary) and Mr. Yusuf Chowdhury (Organizing Secretary). 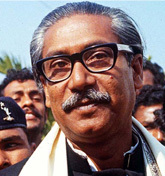 To unite the expatriate Bangladeshi pro-liberation forces, who were living in New England region of the United States of America, under the ideology of the Father of the Nation Bangabandhu Sheikh Mujibur Rahman. To strengthen the hands of the Janonetri Sheikh Hasina by doing good constructive work in favor of Bangladesh and the Bangladesh Awami League. The New England Awami League solemnly observes all the national days, including the Independence Day (March 25), the Victory Day (December 16), the International Mother Language Day (February 21), and the National Mourning Day (August 15). 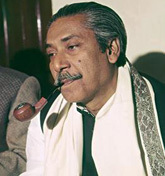 A few years down the line, the New England Awami League had become a more visible force against any misrule in Bangladesh. Today the New England Awami League maintains that leadership role with integrity and legitimacy. The New England Awami League is a registered organization with the Commonwealth of Massachusetts and its executive committee is duly approved by Bangladesh Awami League and U.S. Awami League.